Isabel Flens looks for a chance at the goalmouth. The forward is one of four seniors set to be honored at the Wildcats’ Senior Day on Friday against No. 12 Michigan. A quick scan of Northwestern’s roster uncovers just four seniors, but that paltry number fails to convey the importance of the class. Perhaps fittingly, a senior group led by two long-time offensive stalwarts and a steady goalkeeper will look to lead the No. 10 Wildcats (10-5, 4-2 Big Ten) out of a three-game losing skid with a Senior Day win Friday against No. 12 Michigan (9-6, 4-3). 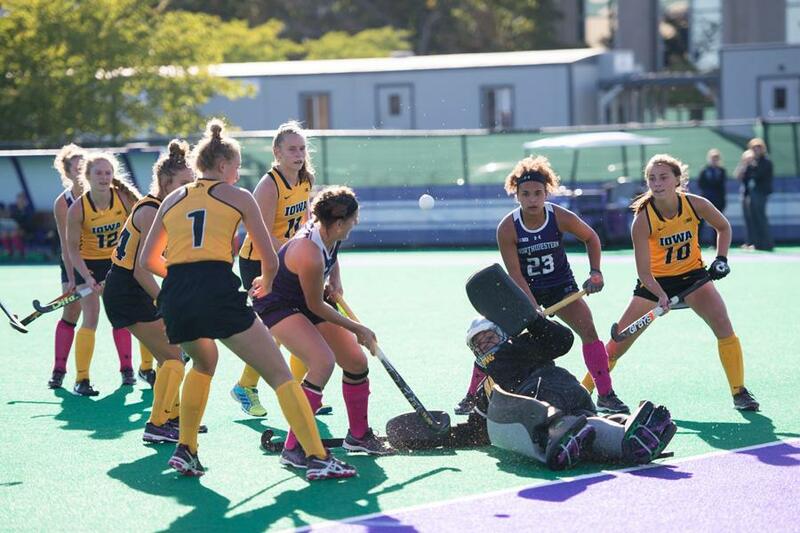 A frequent scorer since her freshman year, Masters has often been key to NU’s success. She led the Cats in goals and total points each of the last two seasons and is second on the team in goals this season. Masters has also displayed her versatility this year, as Coach Tracey Fuchs has deployed her on the back line several times to shore up that unit. For most of her four years in Evanston, Masters has worked in tandem with another prolific senior scorer: forward Isabel Flens. She trailed only Masters in goals and total points in 2014 and 2015 and leads NU in both categories so far this season. At the other end of the field, senior goaltender Lindsay von der Luft has been steady over the last two years. She has started every game since the start of the 2015 season and led the Big Ten with six shutouts last year. The final member of the senior class, midfielder Juliet Beatty, has scored four goals in 43 career games. Although their stats may be gaudy and their on-field accolades impressive, Fuchs instead highlighted the seniors’ character and off-field accomplishments. After a blistering eight-game winning streak that had the Cats flying high and ranked No. 6 in the country, NU has lost its last three games, two in Big Ten play. The Cats have generated their fair share of opportunities — Masters alone had six shots against Indiana on Oct. 7 — but simply cannot find the cage. Even the star seniors have struggled to put NU on the scoresheet. In the three losses, in which the Cats have totaled just two goals, Flens and Masters have combined for only one assist. Flens said a change in mindset could turn things around for the team. After Friday’s game, NU will hit the road for a Sunday matchup at lowly Central Michigan (1-14). But consistent with NU’s “one game at a time” mentality that has been prevalent this season, the seniors are focused entirely on Michigan and looking forward to making a few final memories at Lakeside Field.